I love these soft 3-D shapes from Michael’s. 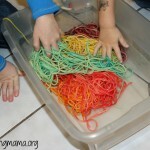 I knew these would be perfect to share for this week’s Toddler activity! 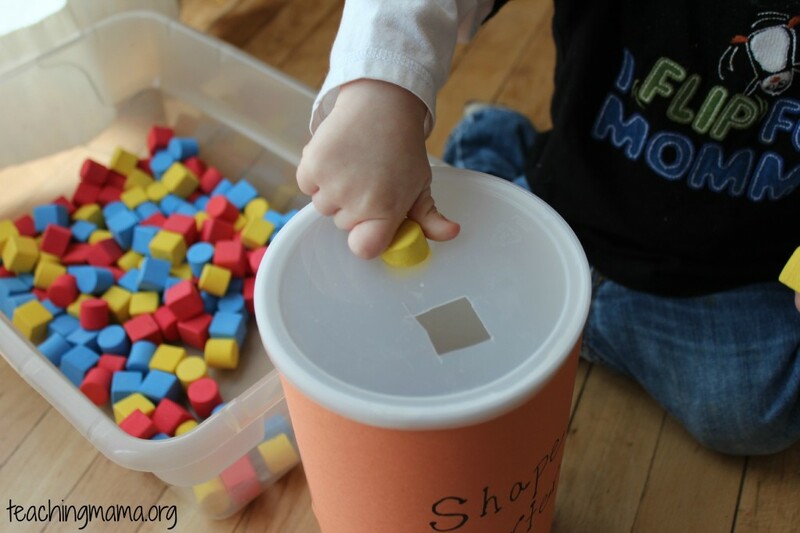 There are two shapes (cubes and cylinders) and were only $1 per bag. I bought 3 bags with 50 in each bag. 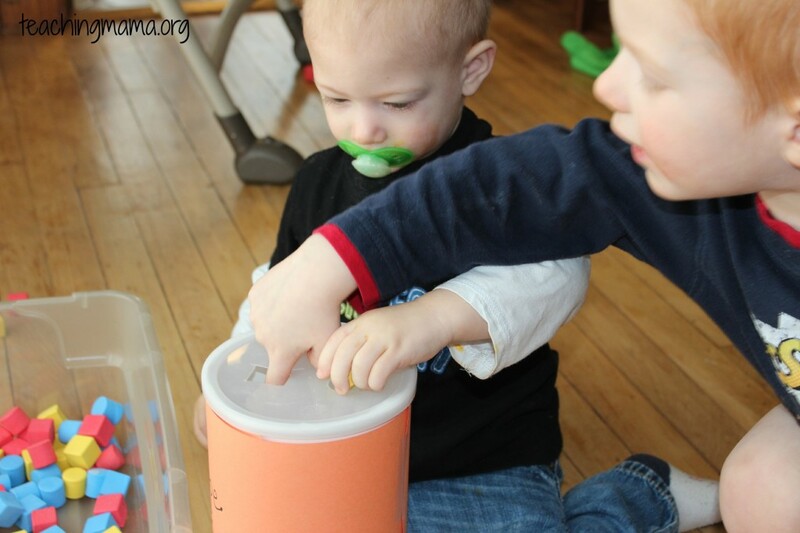 The kids love playing with them because they are soft and a little squishy. I put them in a tub for them to play with. 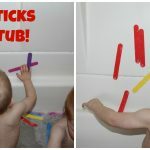 Wes liked putting them into containers, throwing them, and sitting in the tub. 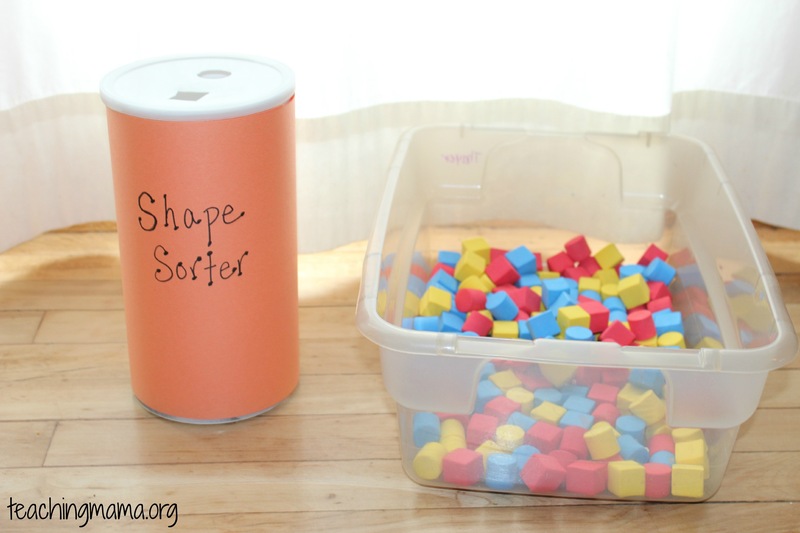 I came up with an activity to do with the little cylinders and cubes. 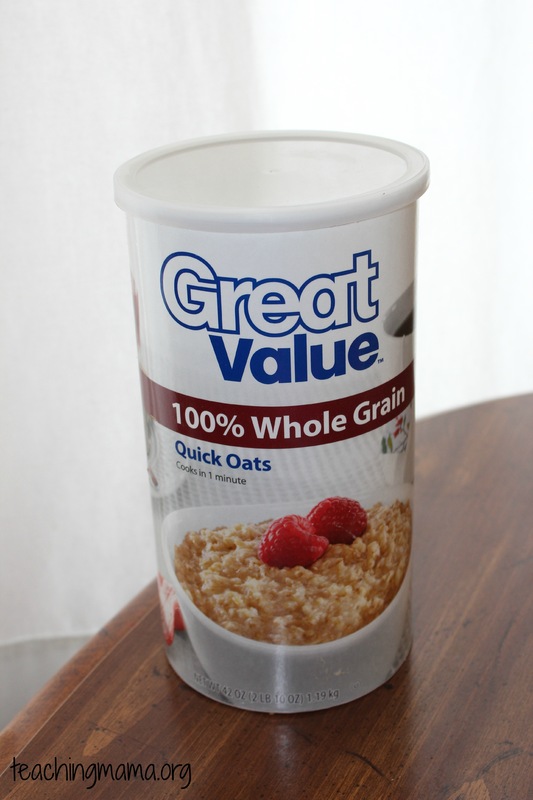 First, I found an oatmeal canister. Then I put two shapes on top, drew around them, and cut around the outlines. The goal of the game is to put the correct shape in the correct hole. 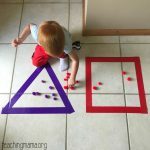 At first he didn’t look where he was putting the shapes, but after playing with it for a while, he caught on to where each shape went. It was fun to watch him learn! Big brother wanted to help out, too. Every time he got the shape in he would say “YAY” and clap. It was too cute! 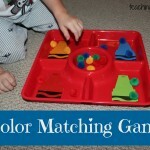 I love how inexpensive this activity is. 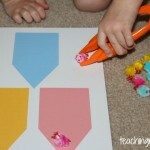 We will use these shapes for other activities, such as sorting by color and making patterns. 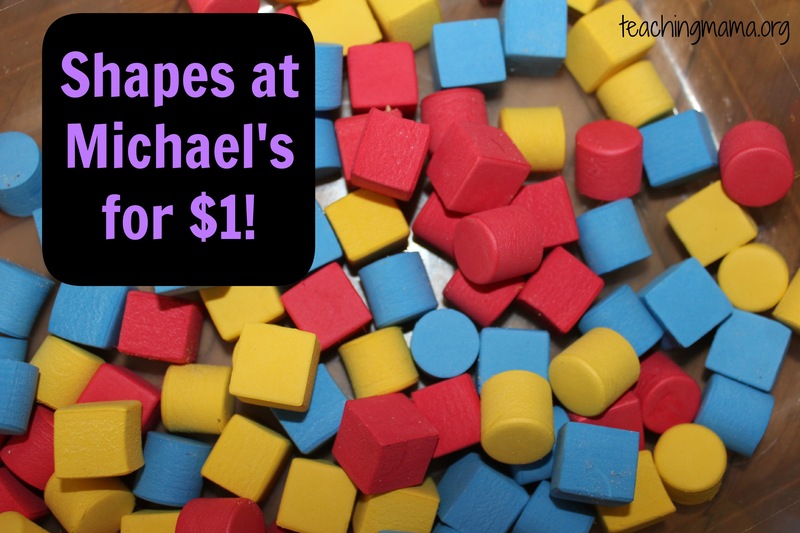 Hope you’ll get out to Michael’s and grab yourself a bag or two–your kids will love them! 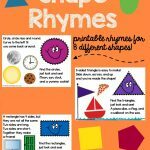 Learning Shapes with Spaghetti Noodles! I totally didn’t realize they sold those for such a good price! Thanks for sharing that detail. 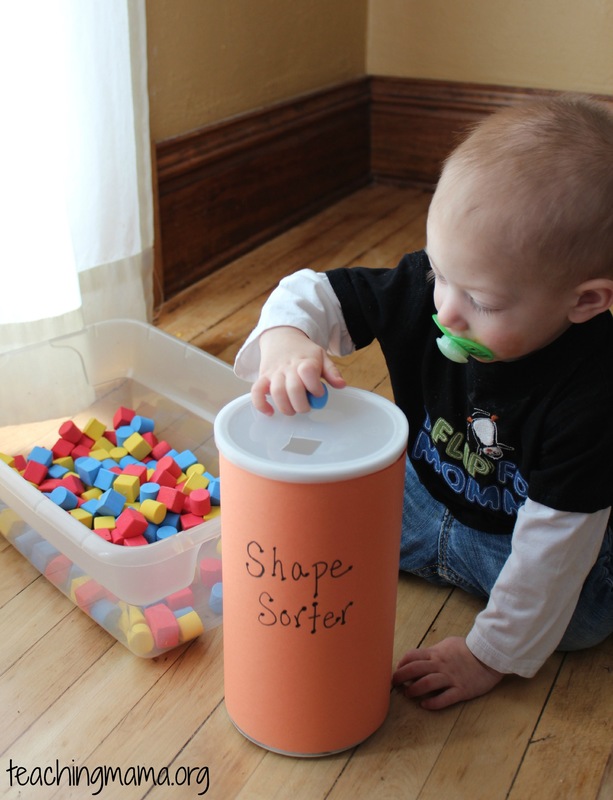 I love this modified shape sorter idea for toddlers. 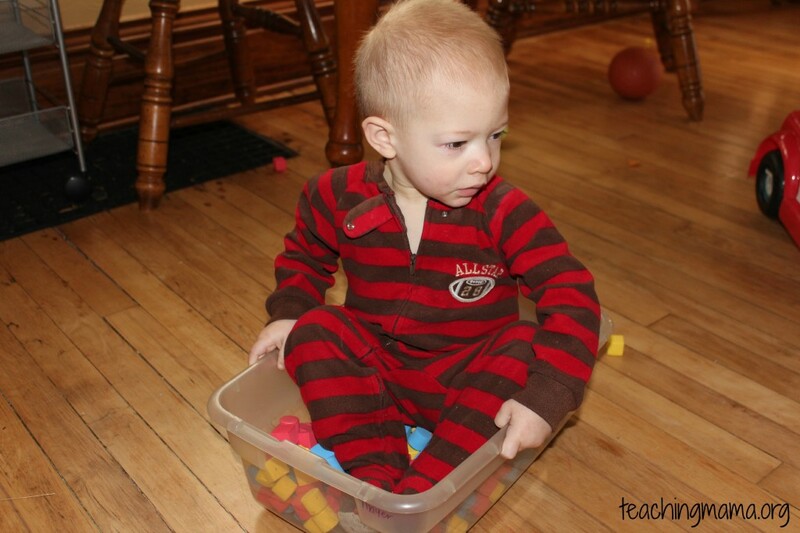 The preschool-focused shape sorters can be a little too challenge for the youngest crowd. Thanks! I was wondering what the official name was on the packaging of those shapes? I was in Michaels today and couldn’t find them. I asked someone and she had no idea what I was talking about. Thank you. Thank you so much! I’ll look again. They are a seasonal item at Michael’s, only in with back to school items.